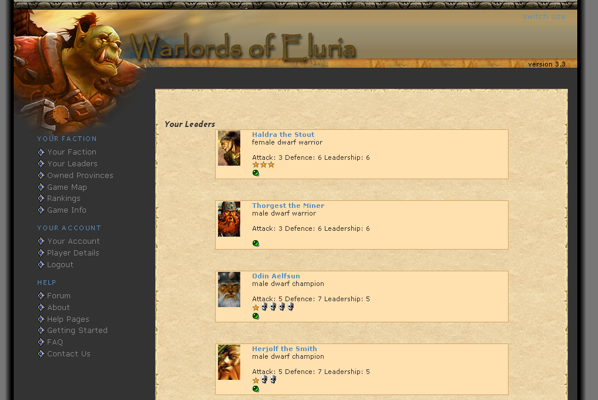 Warlords of Eluria - The online fantasy rpg strategy game. 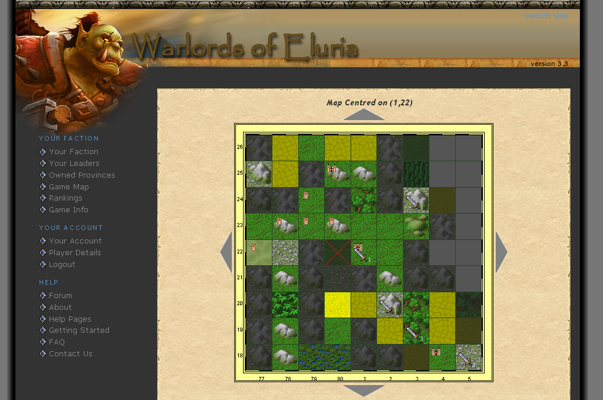 Warlords of Eluria (WOE) is a turn-based fantasy wargame/rpg set in the mythical lands of Eluria. 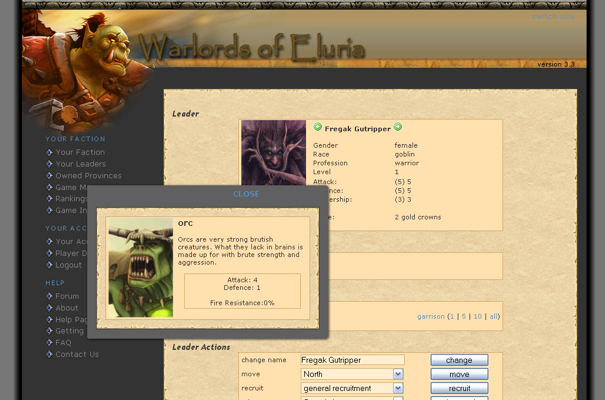 Each player takes on the role of one of the many warlord factions vieing to extend their own kingdom in a time of upheaval. 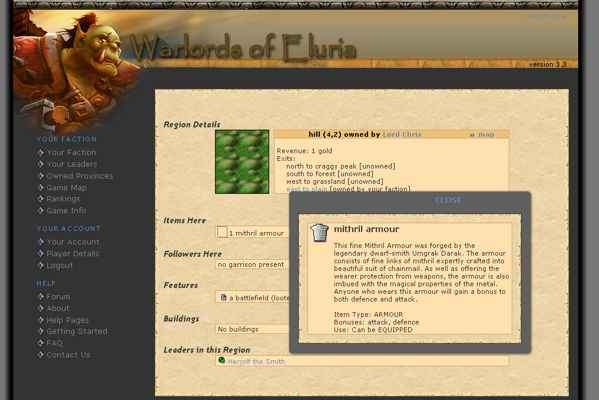 As a player you may hire many different mercenaries to lead troops into battle and employ mages to manipulate the magical ether of the land to your benefit. Capture strategic provinces and venture into unknown lands, quest dark lairs, battle with monsters and recruit a host of different followers to aid your cause. Whatever your strategy, your goal is the destruction of your neighbours and the expansion of your own kingdom. Register today and try it for yourself!